I’m very excited with the progress I’ve been making with the crowdfunding campaign I am creating to raise at least $30,000 so I can give away $10,000 to the charities that will be participating in the upcoming 1st Alive with Clive Charity Extravaganza. I am confident you are going to be thrilled and delighted with what I have in store for you, and you will have the opportunity to benefit from what I’ll be offering for the rest of your life. So, definitely, be on the lookout for news about my crowdfunding campaign in the weeks ahead, since you’ll need to act quickly to ensure that you receive – and you won’t want to miss – the rewards that will be available to you. A couple of weeks ago, I issued another Press Release about the Extravaganza to mention that so far seven charities will be participating. To see the Press Release, click here. There is still room for several more charities, though, so if you represent, or know someone who represents, a charity that could participate, please fill in the form or direct them to the form at http://alivewithclive.tv/for-charities so the charity involved can capitalize on the benefits of being a participant. In addition, the Extravaganza represents what I regard as an outstanding “sleeper” opportunity for corporate sponsors to receive massive DFY (done-for-you) additional exposure, and a boost to goodwill, by providing sponsorship dollars or prizes for the contest, or both. To participate, representatives of companies must please fill out the form at http://alivewithclive.tv/be-a-sponsor. In my previous newsletters, you will recall that I’ve mentioned that I’ve been listening to the series of audio recordings known as The 11 Forgotten Laws by Bob Proctor and Mary Morrissey. According to Bob Proctor, these recordings complement and add vital additional insights about the Law of Attraction that were not conveyed in The Secret. I agree! So intrigued have I become about the Law of Attraction, Mind Movies, and the power of visualization in recent weeks that I decided to create a new Web site devoted exclusively to the Law of Attraction. To see this Web site, go to http://newlawofattractionsecrets.com. When you get there, make sure you enter your email address into the opt-in form to receive the Newsletter so you can receive updates I’ll be sending about how to benefit as much as possible from the Law of Attraction now. Like learning to play a musical instrument such as a guitar or piano, or a sport like golf, learning to apply the Law of Attraction is a skill that takes constant practice to achieve continuous never-ending improvement en route to mastery. 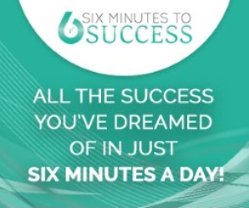 So the Newsletter will provide you with valuable pointers to have you attracting into your life whatever it is that you want. 3. On BlogTalkRadio, Nathalie Mullinix Interviews . . . Speaking of the Law of Attraction, this past week I attracted an invitation to be on the BlogTalkRadio Show of Nathalie Mullinix. Nathalie is the dynamic and always inspiring Founder, President and CEO of Realty Universal, a unique real estate firm that provides a pioneering menu of options for buyers and sellers, as well as agents and brokers. To find out all about Realty Universal, go to http://realtyuniversal.com. Nathalie’s hour-long BlogTalkRadio show is divided into two segments. The first half is devoted to a discussion about matters relating to real estate, and in the second half of the show she interviews people who share messages that are motivating and uplifting. This past Wednesday, with two hurricanes bearing down on Hawaii where Nathalie is based for several months of the year, during the first half of the show she provided vital information about flood insurance and being prepared for disasters like hurricanes and earthquakes that cause power outages and devastation. She also referred listeners to crucial information at http://fema.org about items to have in your home and car to be fully prepared for power outages and floods. I recommend you listen to the first half of the show, and after you’ve done so you’ll hear my interview, which starts at the 28:48 mark. To find out why I say so and if you agree with me, click here to watch the show I recorded with Jeff in September last year on This Week on Alive with Clive. And after you watch the show, submit your answers to the five questions so you can be entered in the current contest to win ALL the prizes. 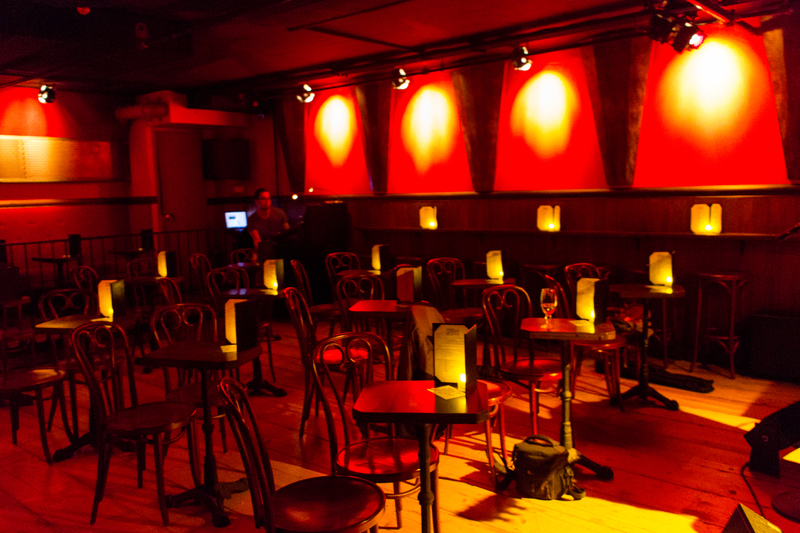 One of the relatively newer music venues in New York City is Rockwood Music Hall, Stage 3. The original Rockwood Stage 1 continues to feature top emerging and established singer-songwriters on the hour seven evenings a week, as well as on Saturday and Sunday afternoons. And Rockwood Stage 2, next door, features singer-songwriters who draw larger crowds. 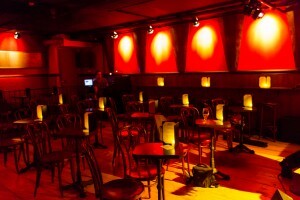 What makes Rockwood, Stage 3, which is downstairs in a cozy space, special is that it is like a theatre. Since there is no bar inside the theatre, all the attention of everyone present is on the singer-songwriter or singer-songwriters on stage, and the attention of the audience brings out the best in the performers. Brendan O’Shea — Monday, August 25 — 8.30 p.m. The show starts at 7.30 p.m. with the band known as August Wells. Cassandra Kubinski — Wednesday, September 3 — 9.15 p.m. Note that the entrance to Rockwood Music Hall, Stage 3, is at 185 Orchard Street, not on Allen Street. The singer-songwriters who are providing prizes in the current Alive with Clive contest – Brendan, Cassandra, Niall Connolly and Fred Gillen Jr. – are four among only a few of the more than 250 singer-songwriters I’ve interviewed on Alive with Clive who’ve produced more than two CDs – in other words, they’ve shown an especially deep and lasting commitment to the pursuit of their craft to satisfy the demand for their music from their fans. And so, since you have the chance to see two of them, Brendan and Cassandra, at one of the best listening rooms for live music in New York City, I highly recommend that you go and see them there. In addition, if you’d like to see enchanting jazz vocalist and recent guests on Alive with Clive, Amanda Sprecher with Robert Scalici live, click here for the dates and times of their upcoming shows. This quote you have just read is one of my favorites and one to which I refer often in my thoughts and conversations. I was recently on a call with Armand Morin, one of my internet marketing mentors, and he said something that truly struck a chord with me. He was talking about success and failure, and he said it’s easy to be motivated by and derive momentum from signs of success. The question is: Can you be as motivated by and derive as much or even more momentum from signs of failure? You get to put a label on whatever experience you have. If you can bring to an experience that you call a failure the same feelings of joy and exhilaration that you associate with success, what becomes available? Think about it! Every no brings you closer to a yes, so every experience that teaches you something is a thing to bless! On that note, remember to stay tuned for upcoming information about The 1st Alive with Clive 10K Charity Extravaganza and if you represent a charity or corporate sponsor or know people who do, join in the fun and invite them to participate too by going to http://alivewithclive.tv/for-charities and http://alivewithclive.tv/be-a-sponsor. Enjoy the rest of your weekend and have a magnificent week! The Word That Rocked My World! You Watch Alive with Clive, $10 Goes to a Charity! A Major Alive with Clive Milestone To Celebrate! 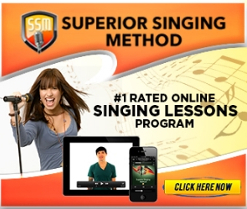 [AWC 10KE] Do You Want Singer-Songwriters To Thrive? The Crowdfunding Campaign Is Now LIVE! $10. 10 Minutes. 10 Friends. 10K – For a Mug, Let’s Play! For Valentine’s Day: “The World Disappears” by Cassandra Kubinski from her EP, ONWARD — One of the Most Beautiful Songs about Being in Love You’ll Ever Hear! For Valentine’s Day: “Deeper” by Cassandra Kubinski from her EP, ONWARD — One of the Most Beautiful Songs about Falling in Love You’ll Ever Hear! New from Cassandra Kubinski: “New Year Comin'” — The Perfect Song To Be Hearing On The Radio All December Long! Song # 6 — “Lean Into Me” by Fred Gillen Jr.
On Alive with Clive, Insightful Singer-Songwriter, Kirsten Heibert, Performs Enchanting Songs that Provide Thoughtful and Thought-Provoking Perspectives about Life! On Alive with Clive: Meet Noah Evan Wilson, an Inspiring Singer-Songwriter Who Kicks Down the Walls of His Comfort Zone to Explore and Flourish in the Realm of the Unknown! On Alive with Clive: Invoking a Multitude of Different Musical Influences, Dynamic Singer-Songwriter, Tatiana Lima, Impresses with Songs That Reflect a Diverse Range of Musical Genres! On Alive with Clive: Compelling Singer-Songwriter, Eve Lesov, Sings Songs about Friendship, Yearning, Life and Matrimonial Immigration, While Providing Delight and Inspiration! On Alive with Clive: The Metamorphosis of Talented and Inspiring Singer-Songwriter, Chuck Ramsey — from Quiet, Reserved and Introverted to Dynamic, Exciting and Fully Self-Expressed — Continues to Gain Momentum! On Alive with Clive: With His Amiable Demeanor, Commanding Yet Soothing Voice, and Enchanting Sound, You’re Sure Gonna Love Singer-Songwriter, Mark Shock! 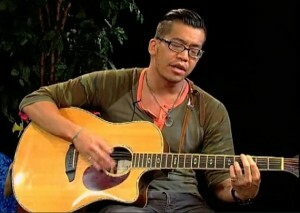 On Alive with Clive: Uplifting Singer-Songwriter, aReJay Ella, Inspires with Spiritually-Enriching Songs that Remind Us to Stay True to Our Core Values, Be Brave and Believe! New Jersey Can Be Proud of Yet Another Outstanding Singer-Songwriter — Matt Colligan! Catch the Health Wave with Ripple Effect Artists! Announcing The 1st Alive with Clive Quest for the Best Song Contest!